Hills Vet Essentials Puppy food for small and medium breed dogs, suitable from weaning until 1 year old, pregnant and lactating mothers. 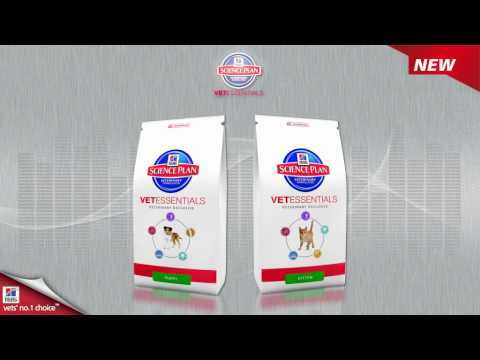 Hills Vet Essentials Puppy food is a veterinary exclusive diet which is specifically formulated advanced nutrition for healthy growth and development with strong immunity. High levels of Vitamin E and clinically proven antioxidants support a healthy immune system. Offering a precise balance of minerals and Omega-3 oils help support healthy bone and joint development. Highly digestible proteins and a balance of fibres support a healthy digestive tract. Maize, poultry meat meal (Chicken min. 30%), animal fat, dried beet pulp, digest, maize gluten meal, fish oil, potassium chloride, salt, rice.